If you are looking for information on the Access Fitness franchise business opportunity, Access Fitness franchises or Access Fitness franchising, then you have come to the right place. 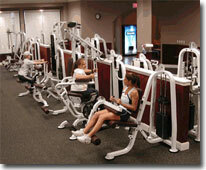 In 1995 Fitness Factory began Access Fitness, a coed 24/7 facility. Finally, through much demand, franchises are now available! There is one major difference between Access Fitness and other similar fitness franchises. You will buy directly from the strength equipment manufacturer, and therefore the customer will find a well balanced company with deep roots within the industry. We offer customized weight lifting equipment that is easy to operate and easy on the body. 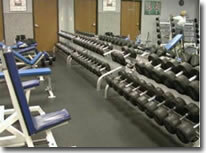 Access Fitness was started by Pioneer Strength Equipment as a subsidiary. So the value of what you get for the money is unmatched. All equipment is designed and built especially for Access Fitness by Pioneer Strength Equipment. Our equipment is designed with you in mind. We know you want real conditioning equipment that meets your individual workout styles. We provide the most turnkey facility in the fitness industry. We literally provide everything except the walls. All included in the base price, nothing hidden. We offer a computer aided drafting service to help with the planning and modification of individual space requirements. We have supporting marketing material to help us advertise. We have pre-recorded TV and radio ads, as well as ready to print graphics for flyers and handout materials. We also will assist you in marketing ideas and advertising design if a unique requirement is needed. We guide you through the entire process, from site location to grand opening and beyond. Area development program available makes multiple locations a great value. Equipment is first and foremost. Genuine strength equipment that's as good if not better than any found in the mega health clubs. 24/7, we provide an Access control system that allows members 24/7 access, but only requires 2 part-time staff to manage. Our experience are as equipment manufactures since '82. We have provided turn-key facilities for over 12 years. Our company knows the fitness industry from every level. We are not like, nor want to be like all the other guys that have jumped on the "Express" band wagon. Recent statistics have shown that the express concepts are on a significant decline. There is one major difference between Fit For Her and other similar fitness franchises. It is the quality of our equipment. We offer real weight lifting equipment that is easy to operate and easy on the body. No hydraulics cylinders. Fit For Her offers a full range of cardio, strength and free weights. All equipment is designed and built especially for Fit For Her by Pioneer Strength Equipment. Pioneer Strength Equipment is FIT For Her's parent company so you buy direct from the manufacturer, not a third party. Our equipment is designed with the woman in mind. We know women want real conditioning equipment that meets their individual workout styles. You will find great equipment plus aerobics, workout room, tanning, massage chairs, sauna and clean modern dressing rooms. All the amenities of a health club yet in a quaint women's only environment (average size of a Fit for Her is 4,000 sq. ft.). We have provided turn-key facilities for over 12 years. Our company knows the fitness industry from every level. We are not like, nor want to be like all the other guys that have jumped on the Curves band wagon. Recent statistics have shown that the express concepts are on a significant decline. They don't offer a complete package. They fall short in fulfilling the members needs, so the members aren't getting results and long term profits dwindle. The value of FIT For Her is staggering, contact us to get a packet emailed to you and we'll prove it.